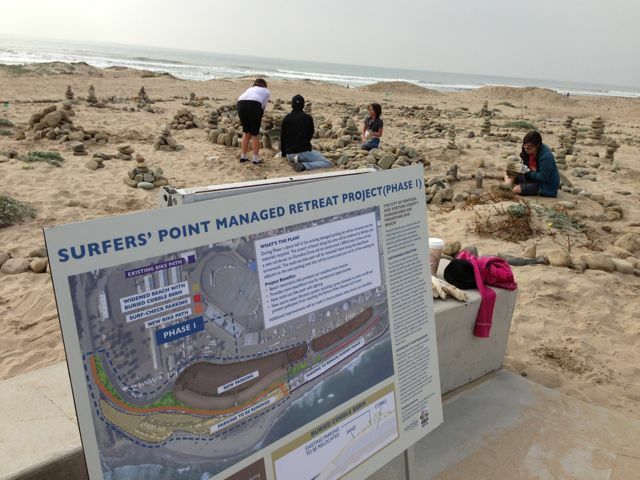 Last Friday a small crew of volunteers from Patagonia worked hard to install cables and signs at Surfers Point. 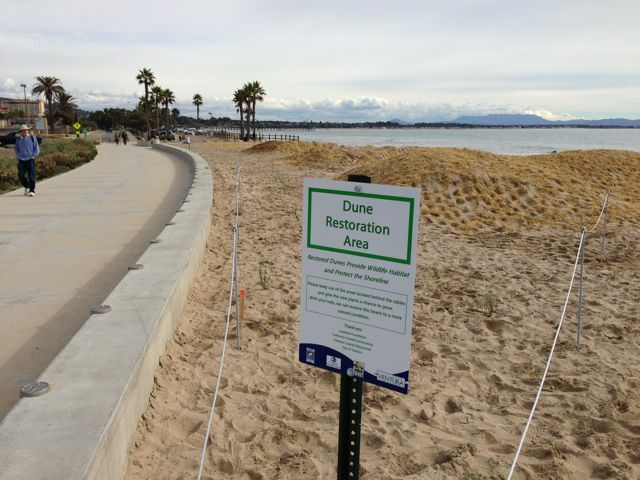 The cables are intended to mark off the designated walkways in order to allow for revegetation of the dunes. 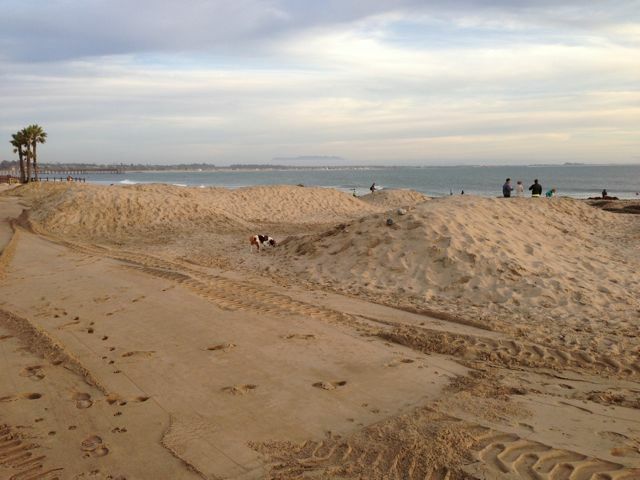 In these photos you can also see the sterile 'rice straw' that was installed by City contractors. 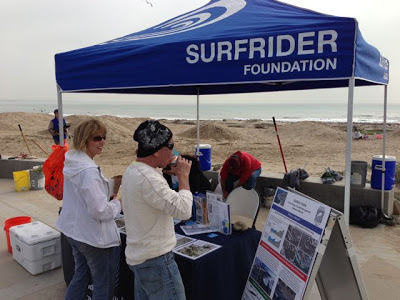 Thanks to the Surfrider crew, including Cynthia (signs etc), Morrie (finding the cables and hardware), Curt (pizza arrived on schedule), and Alec (hard labor) - City of Ventura staff Joe McDermott and Rosie Ornelias. 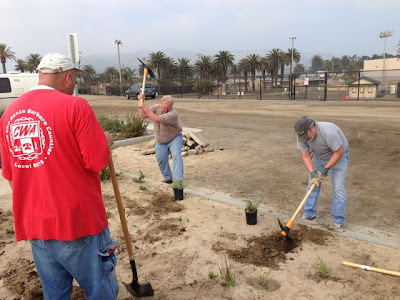 Ventura rentals donated a bolt cutter and post pounder, and of course the Patagonia edit department who provided the 'miracle grant' that paid for the materials! 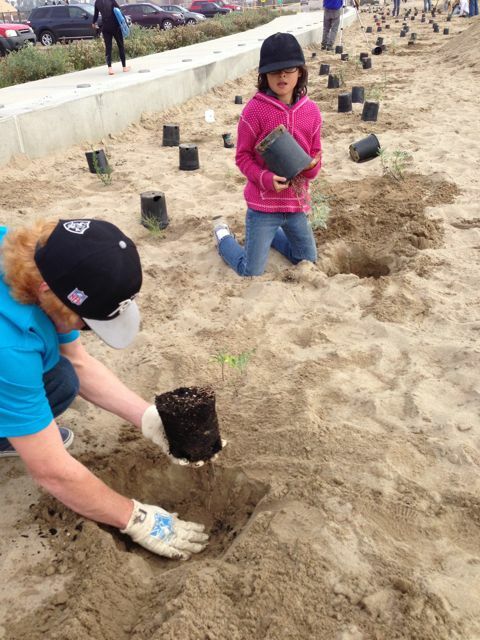 We look forward to watching the native plants sprout following the rainy winter weather! Stay tuned for future work days! 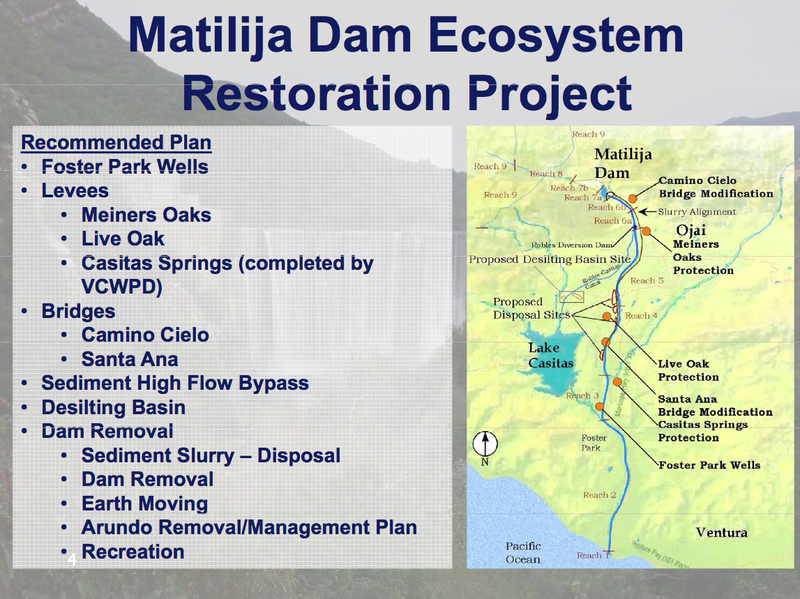 The Matilija Dam 'Design Oversight Group' met on December 4th. Presentations updated the group on the Corps process and progress on elements of the final design. this was followed by a discussion and approval of the Technical Advisory Committee work plan for 2013. 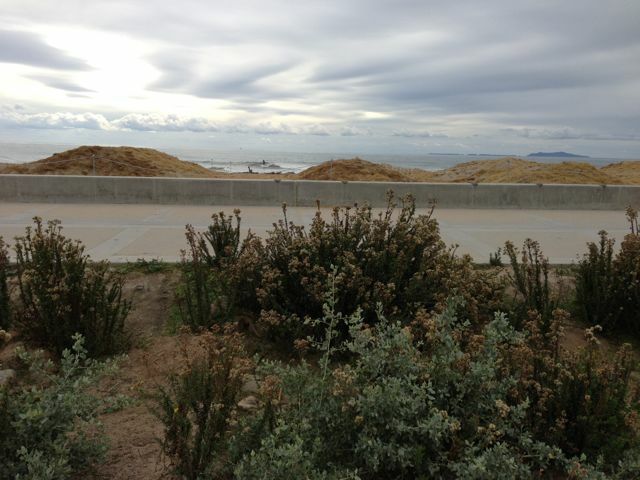 The main progress is the recent design study for the Santa Ana bridge. 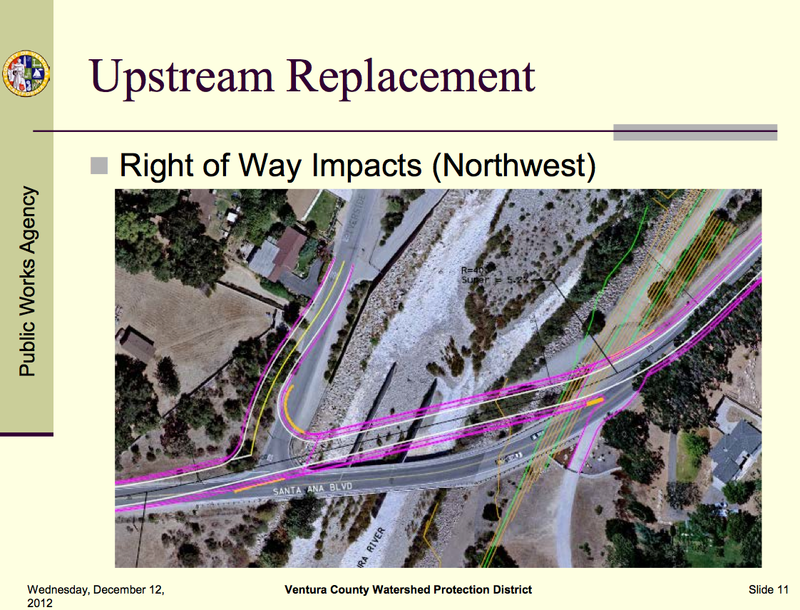 An assessment determined that an upstream alignment for a new bridge will be the best alternative for the Santa Ana Rd crossing in Oak View. The goal of this study will be to formulate feasible methods for the removal of Matilija Dam, located on Matilija Creek in Ventura County, California. The study will develop the engineering details associated with several different alternatives for mechanical sediment management and flow control during dam removal. This study would not evaluate the downstream slurry options, but would focus on the mechanical placement of sediment upstream of the dam and evaluate options for the control of flow and sediment during dam removal. The study will be performed in two phases, with the first study done at primarily a conceptual level and the second study done in more detail on a fewer number of options to develop more reliable costs and impacts for those options. The analyses will examine approaches for Full Dam Removal as well as an Interim Notch. The Interim Notch would have the main purpose of preventing further deposition in the reservoir area, but could also have the additional purposes of inducing a small amount of erosion so that the sediment removal process could begin and providing data on the sediment processes that would occur upon dam removal. The goal of this study will be to simulate the sediment transport processes for the proposed interim notching and full removal schemes that will be evaluated in dam removal plans (Task 1). 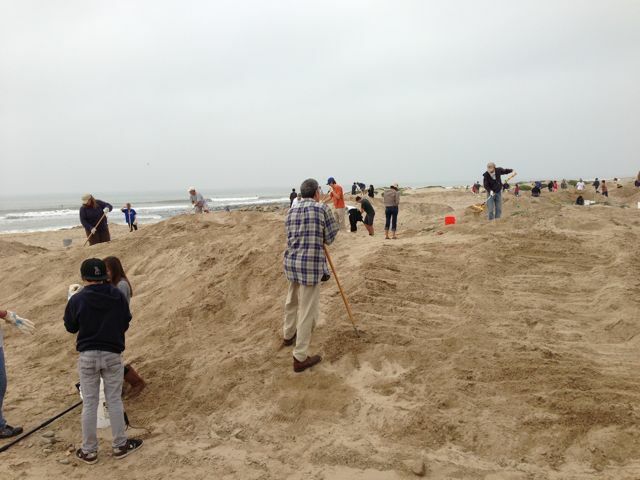 Over 70 volunteers plus a dozen organizers spent the morning working on the dune area at Surfers' Point. The large crew made quick work of cleaning, seeding, and planting the 4 acre area. The workday was coordinated by the City of Ventura in partnership with the Ventura County Chapter of the Surfrider Foundation, and attracted Surfrider members and families from the community. Because some of the imported sand contained unnatural concrete and other debris, the first crew of volunteers went to work cleaning the dunes with rakes and special mechanical 'sifters.' 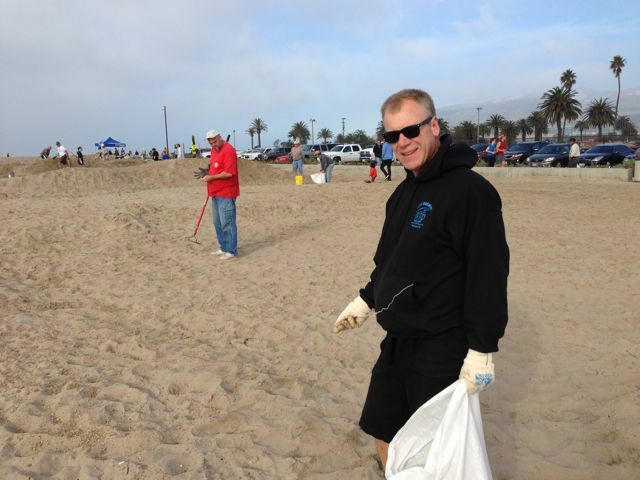 It's amazing how much area a large crew can cover in an hour or two! As volunteers completed the debris removal, they were given tools to weed areas where non-native plants were beginning to sprout from the recent rains. 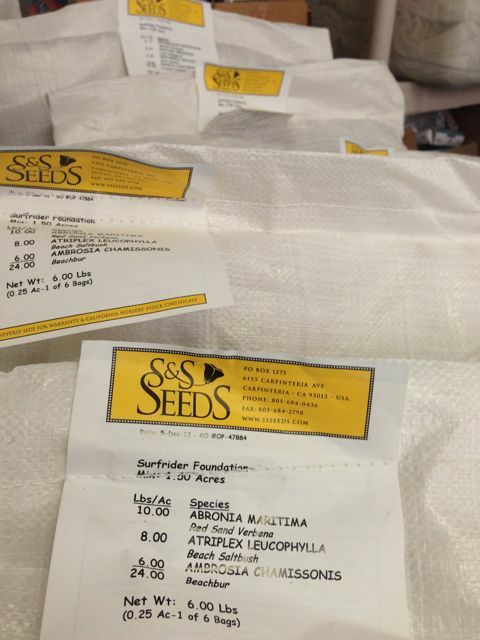 Catching these sprouts early will make a big difference later in the spring when we return to remove weeds. While the cleanup and weeding was happening, another work group was systematically distributing native plant seeds under the direction of restoration consultant Dave Hubbard. The seed was custom mixed for different areas of the project, mixed with some dry sand and scattered evenly within a designated area. 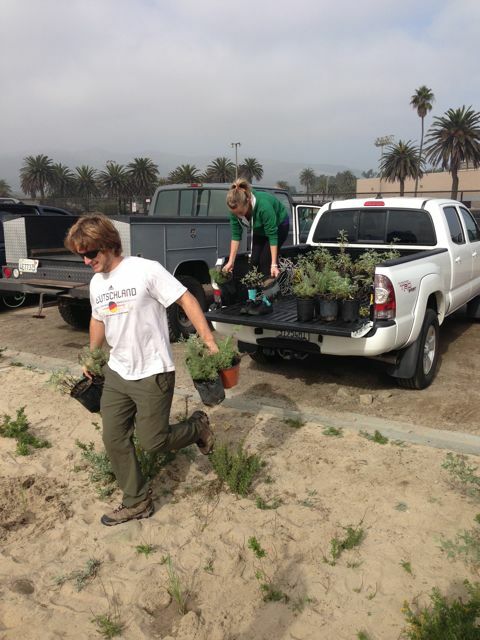 The area was then raked to further distribute and bury the seeds. 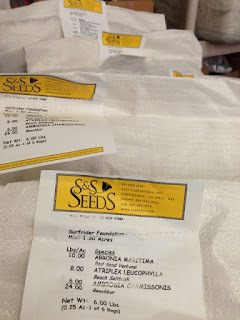 These seeds will be futher stabilized this week through the application of straw which will be 'crimped' into the dunes by a contractor. to the Surfers' Point dune restoration area. 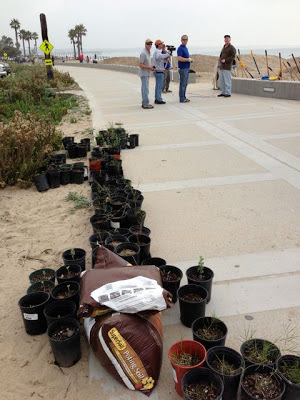 Finally, hundreds of plants arrived from our local Surfrider Ocean Friendly Gardens 'plant parents' who have been caring for them since seeds were collected from the site last year (Surfers' Point workday.) Volunteers spent another couple of hours planting these along the bike path and filling in areas in the bioswale. 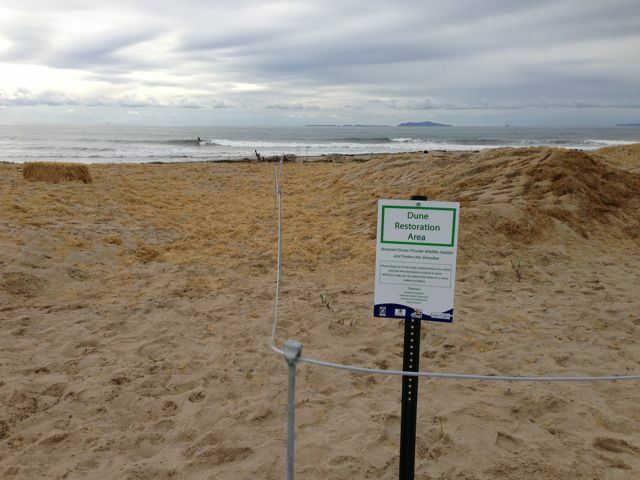 On Friday Patagonia volunteers will install barrier fencing and signs to help direct traffic through the dunes to allow for plants to establish and stabilize the new sand dunes.